Brockett Parsons received his Bachelor Of Arts from Bucknell University, and later continued his studies at Berklee College of Music. After cutting his teeth for years in NYC as a keyboard player playing Jazz, R&B, Hip-Hop, Rock, and Dance music, he received national attention as a winner of the MTV reality show Making His Band with Sean PDiddy Combs. He was selected personally by the Combs to be a part of his touring band. Soon Brockett was chosen to be Lady Gaga’s keyboard player, a position he still holds today. This tenure has included four world tours spanning over 45 countries and dozens of television shows. Among these included Saturday Night Live, Jimmy Fallon, an HBO special, various morning and late night shows as well as the 2017 Lady Gaga Super Bowl 51 halftime show, one of the most widely viewed music performances of all time. 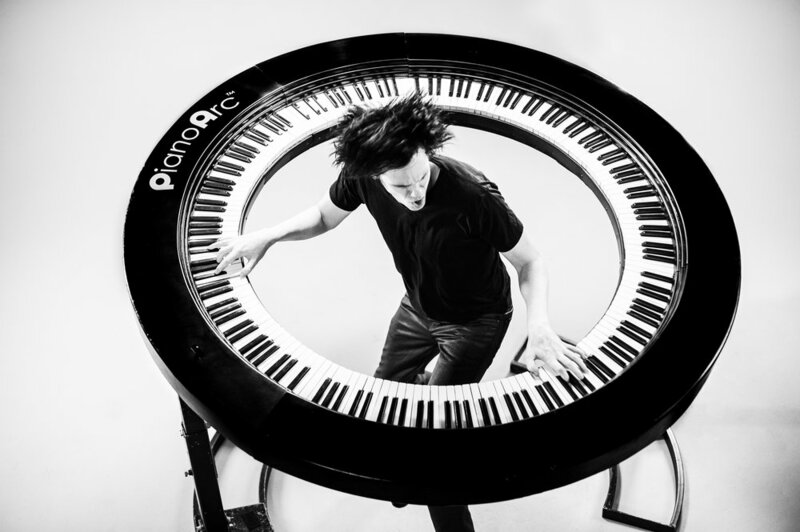 Parsons, along with a small group of friends, musicians, and engineers is also an inventor of The PianoArc, a complete electronic functioning circular keyboard that has received international acclaim and recognition, and recently thru Parsons’ performance clips has generated millions of views on social media. With a stellar touring and recording history with so many greats, it is time for Brockett to shine with his music. After meeting up with Adrian Harpham - drummer, producer, and label founder of Modern Icon Recordings - the stage was set. On his debut, cleverly titled The Brockettship, the breadth of his experience and his knowledge of music is on full display. Jazz bangers, Hip-Hop infused stories of musical exploration, and more are there as Parsons exercises his chops with Harpham in the booth. An album from a master built for the times, with delicious selections for everyone.